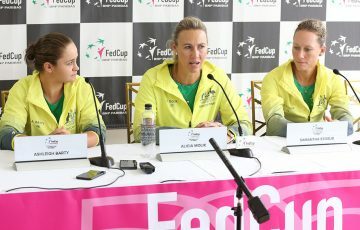 Women’s 15th seed Dominika Cibulkova overcame the stern challenge of 16-year-old Australian prodigy Ashleigh Barty. The inexperienced local began strongly, but in the end it was the in-form WTA veteran who left the court victorious. 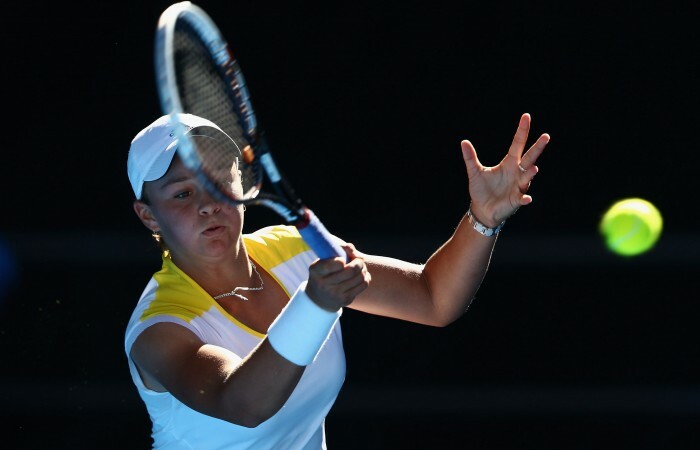 Women’s 15th seed Dominika Cibulkova overcame the stern challenge of 16-year-old Australian prodigy Ashleigh Barty, winning 3-6 6-0 6-1 in an exciting match on Hisense Arena that finished early on Monday evening. It was always going to be a tough ask for Barty, with the wildcard drawn against last week’s finalist at the Apia International Sydney. “I got off to a great start in the first set. In the second and third set I just made too many errors. My first serve percentage was pretty horrendous the whole day. But I proved that I could still win a set without playing my best on my serve,” Barty said. Yet Barty looked perfectly at home on Melbourne Park’s second-biggest showcourt in the early stages of the match. Games went on serve early in the opening set until the fourth game, when Barty broke for a 3-1 lead. A distinct pattern was emerging – Cibulkova regularly attacked Barty’s backhand only to be surprised when the shot was consistently rifled back. The Aussie used that wing to draw the No.15 seed wide, forcing the error or setting up an easy winner. Cibulkova got proceedings back on serve with a break in the fifth game, yet in the eighth game it was Barty who refused to crack, coming through a tough deuce battle after a couple of errors off the Slovakian’s racquet. Shortly after the world No.174 found herself serving for the set, and a Barty drop shot winner sandwiched between two Cibulkova errors handed the Aussie three set points. She needed just the one, closing it out with a powerful service winner out wide. Cibulkova was visibly irritated by her high error rate, and responded by channelling her anger into her groundstrokes. 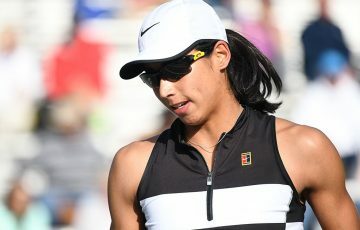 She hit her way out of trouble in the opening game of the second set after facing break point, and seemed buoyed by her efforts, continuing to rip the ball and rack up the winners. Suddenly the games were clocking up in her column on the scoreboard, and in just half an hour, Cibulkova had levelled the match thanks to a bagel set. It was starting to look very ugly for Barty when Cibulkova raced to a 3-0 lead in the third set, her powerful forehand finding the corners and forcing countless errors from the Aussie. 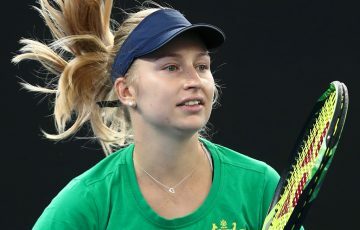 Yet the wildcard remained calm, producing some winners of her own to hold for 1-3 and break a run of nine consecutive games for the Slovakian, drawing big cheers from the large Hisense Arena crowd. Cibulkova’s focus was not thrown. She continued to pound her forehand, moving ahead 5-1 and 40-0. 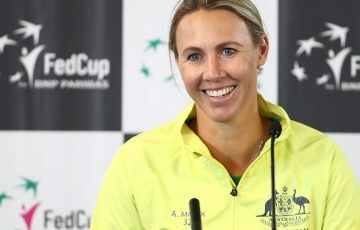 Although the Aussie saved those three match points, Cibulkova responded with two points of her own to wrap up victory in one hour and 45 minutes. She will next face Russian Valeria Savinykh, a straight-set winner of Mandy Minella of Luxembourg. “After I did get that first set, I kind of dropped off a little bit. I think that was nerves. She was able to pounce on me pretty quickly. That’s why she’s ranked 15 in the world,” Barty reflected.